Sunglasses? Check! Sunscreen? Check! Diaper wipes? Check! Superhero Cape? CHECK! Um, did you forget to have the kids make something this week? Don’t worry, head on over to CMOM and have the kids make Dad a card he’ll never forget! They’ll provide all the supplies, and, better yet, they’ll clean up all the mess. Afterwards, they can take Dad to all the great hands on exhibits and make him feel like a kid again. Summer is coming! Summer is coming! Load up on sunscreen and sandbox toys. Get your water shoes and sunglasses. Find your kids earplugs for that never-ending army of ice cream trucks. 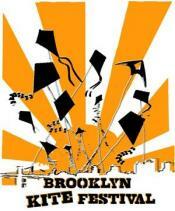 And get them enrolled in some awesome classes that are especially designed for the summertime. Many places offer summertime specials and one-week camps. So get out of your routine and try something new! Here are five classes we highly recommend you check out. This great event teams up two amazing NYC institutions, the High Line and and the Children's Museum of the Arts, to offer a free drop in art workshop for kids. Using found objects and natural materials, kids craft their own High Line-inspired masterpieces under the guidance of the Children's Museum of the Arts Teaching Artists. The High Line Children's Work Yard Kit by Cas Holman will also be available for young builders of all ages to create one of a kind vehicles, forts, creatures, structures and machines for their custom-design wood planks, nuts, and bolts. All this and fresh air? A fantastic Saturday in the making! The Canal Park Playhouse - The Red Balloon - The one and only classic, beloved, Academy award winning movie for all of your little thespians that are always rooting for the good guy. And anything that involves delicious waffles is a good event in our book! This is the last weekend for this film showing so don't miss out! 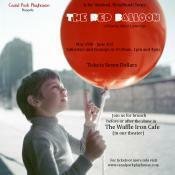 -- Screenings of Albert Lamorisse's film The Red Balloon (Le Ballon Rouge). The Red Balloon is the tale of a boy named Pascal and his adventures with the balloon that follows him though the streets of Paris. Cartoons from Popeye and Casper the Friendly Ghost will precede the screening. Brunch and dinner is available before or after the screenings at the Playhouse's Waffle Iron Cafe.